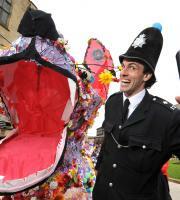 Nothing brings the fun like ... CARNIVAL! 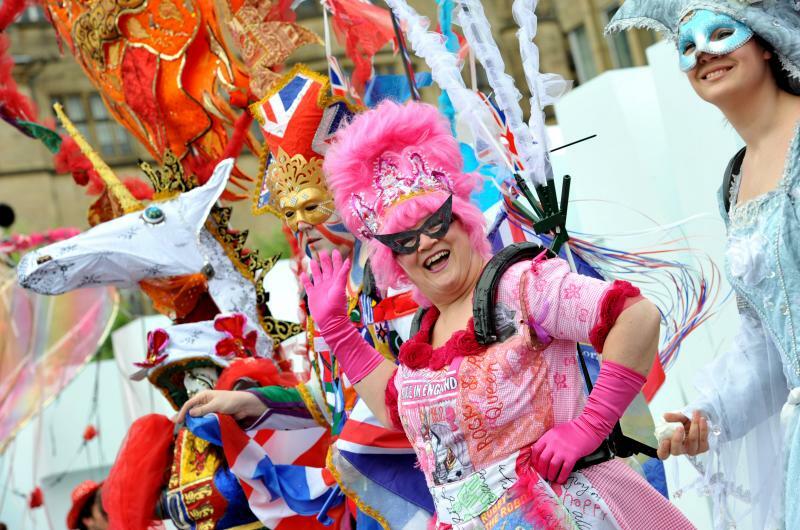 At Q20, we specialise in delivering the full carnival package: everything from the crazy costumes to the fabulous floats! 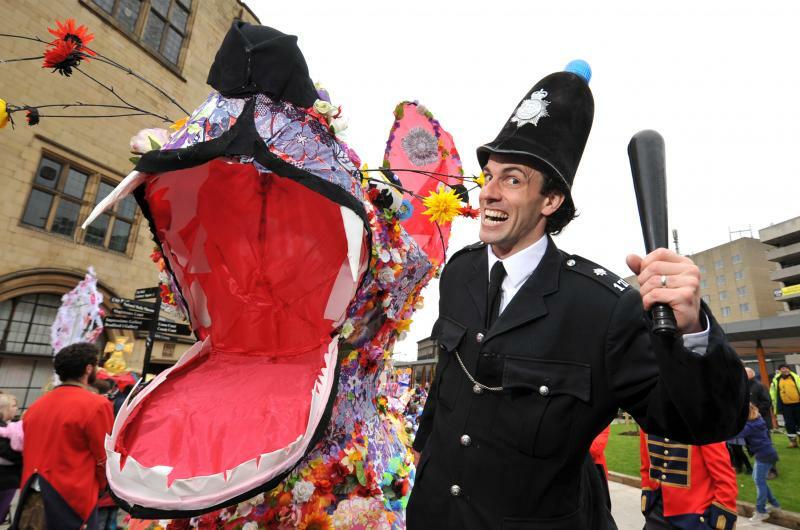 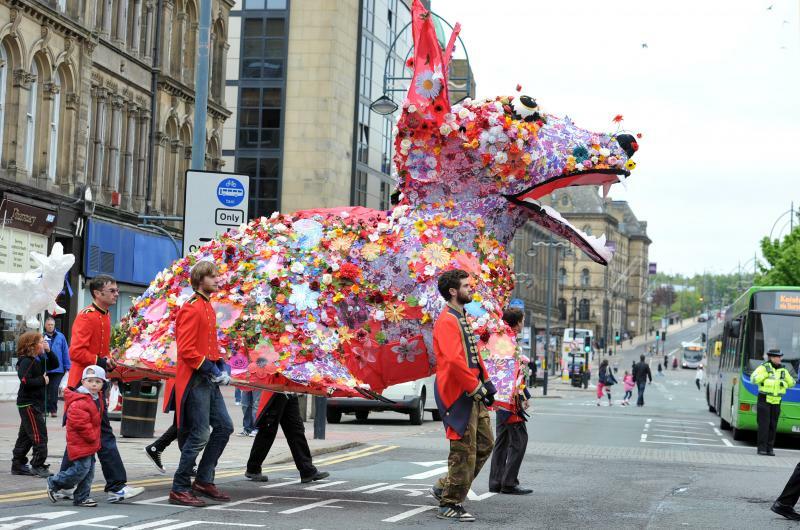 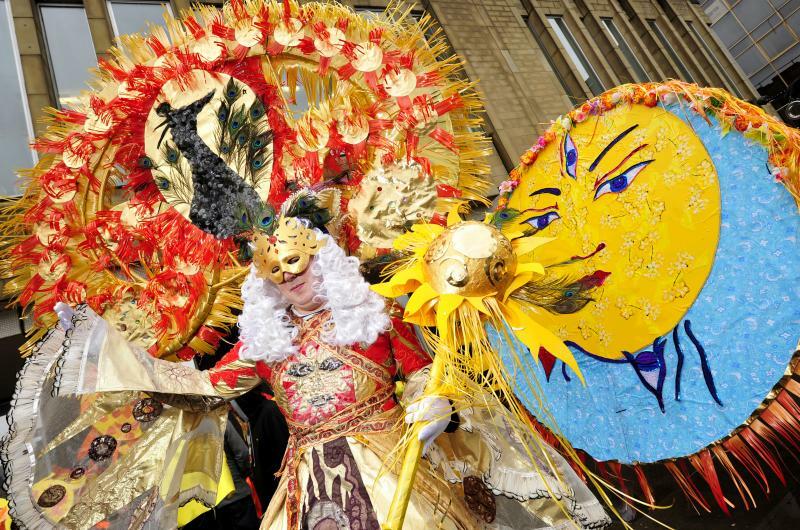 Our wealth of experience is the result of over ten years of running Bradford's Lord Mayor's Carnival Parade, until it was sadly lost through budget cuts in 2015. 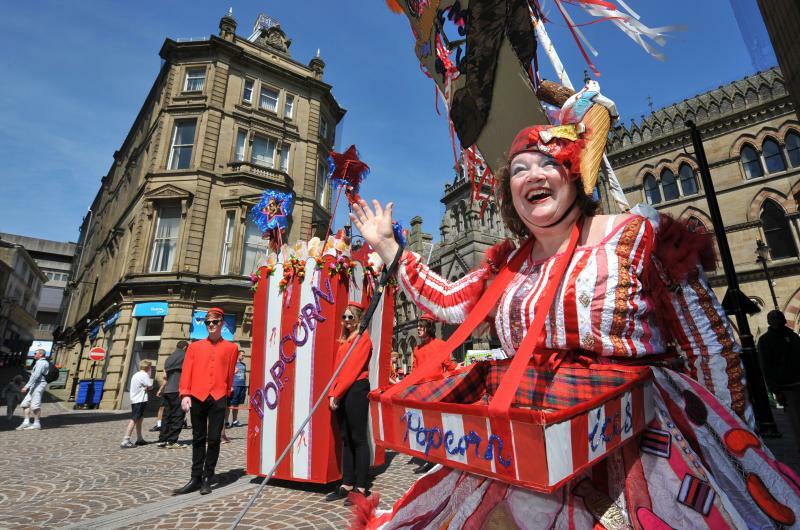 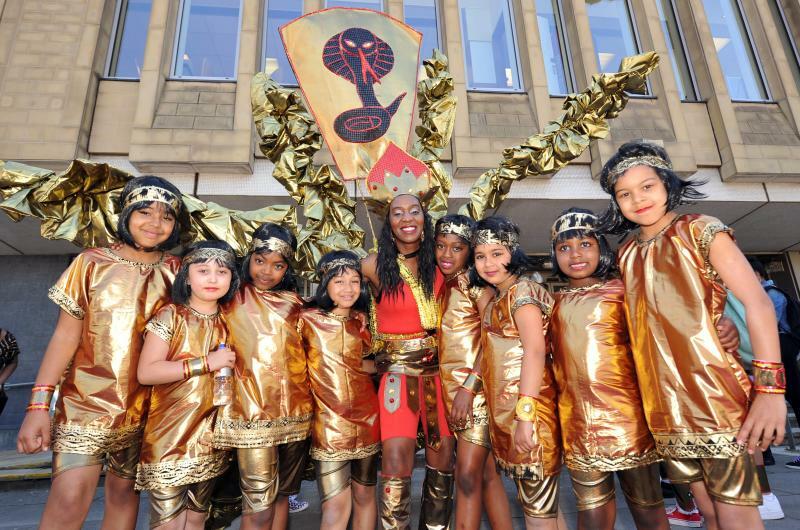 We've delivered carnivals to fit every theme imaginable, whether that's a celebration of the Queen's Diamond Jubilee, or Bradford being named as the world's first UNESCO City of Film! 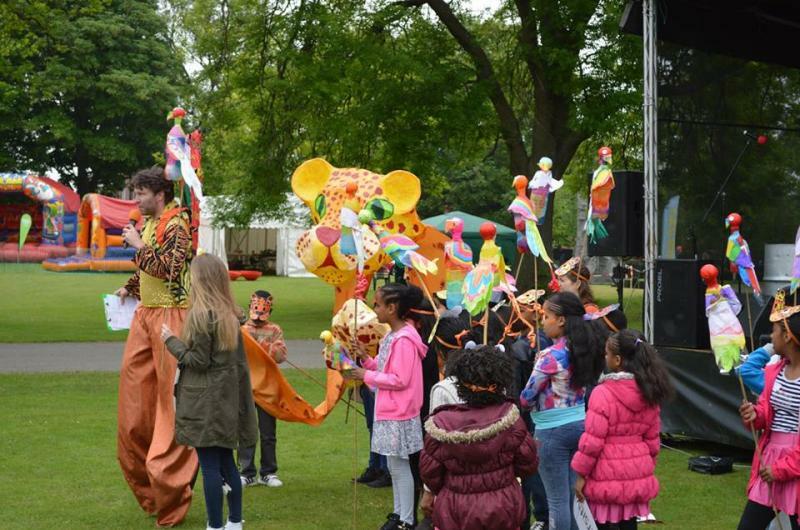 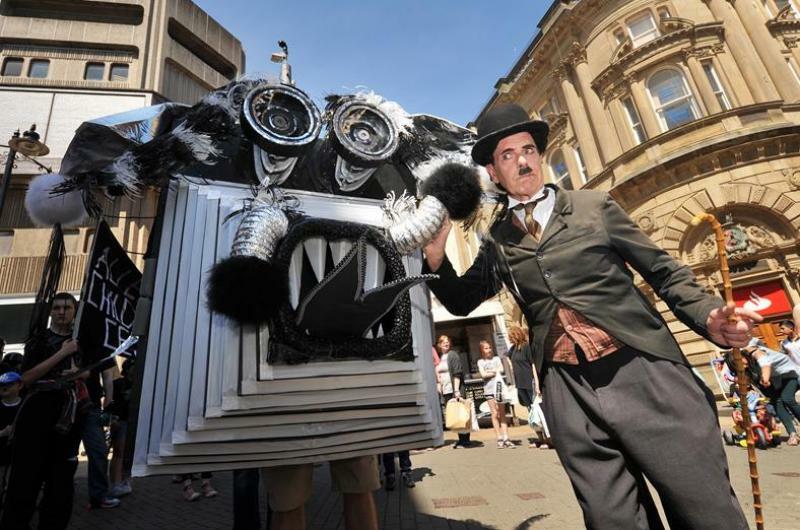 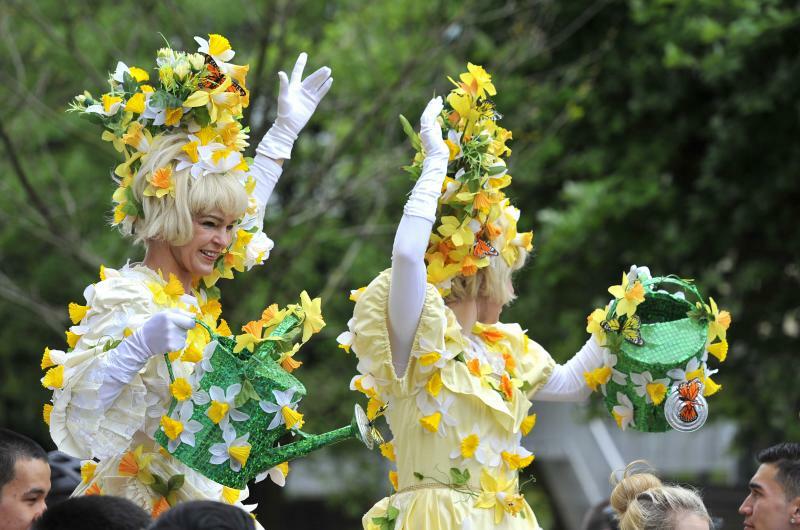 With our fantastic array of stilt performers, walkabout characters and handmade parade floats, our carnival events always deliver in pure spectacle and fun for the whole family. 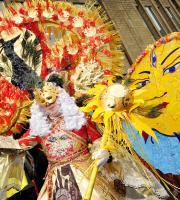 So let us bring all the colour and commotion of the Rio carnival to your town! 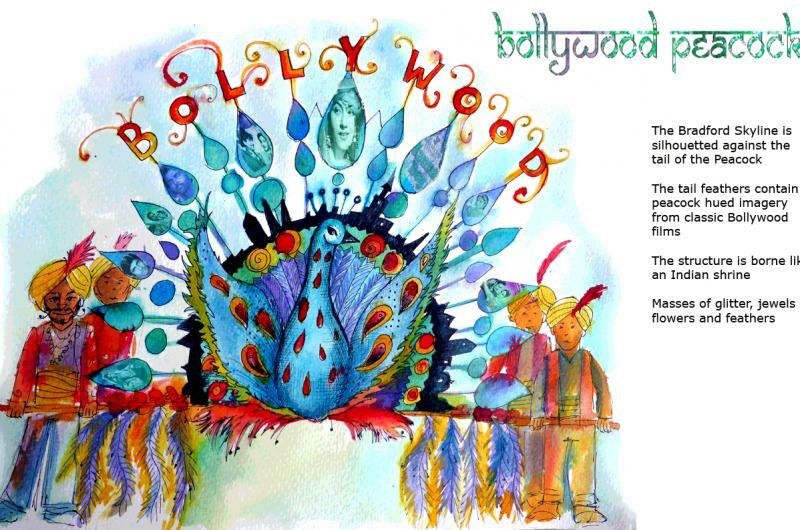 At Q20, we deliver a project from its very beginning: starting life as one of our artist's sketches and designs, all the way to the building of an amazing carnival creation! 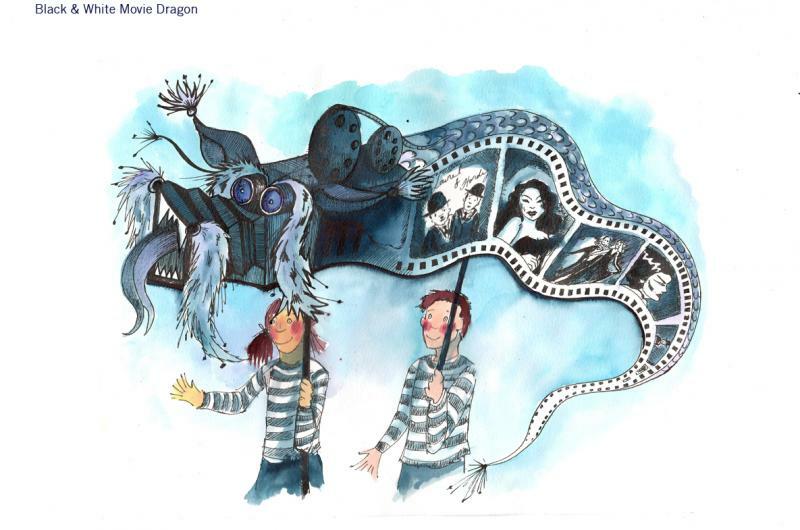 Just like this old-style camera-come-Chinese dragon, brought to life! 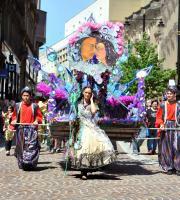 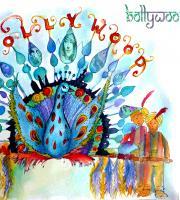 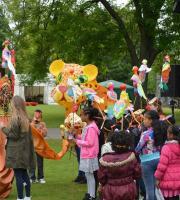 Our frequent collaborator, artist Morwenna Catt, designed some fabulous floats inspired by Bollywood imagery in 2014. 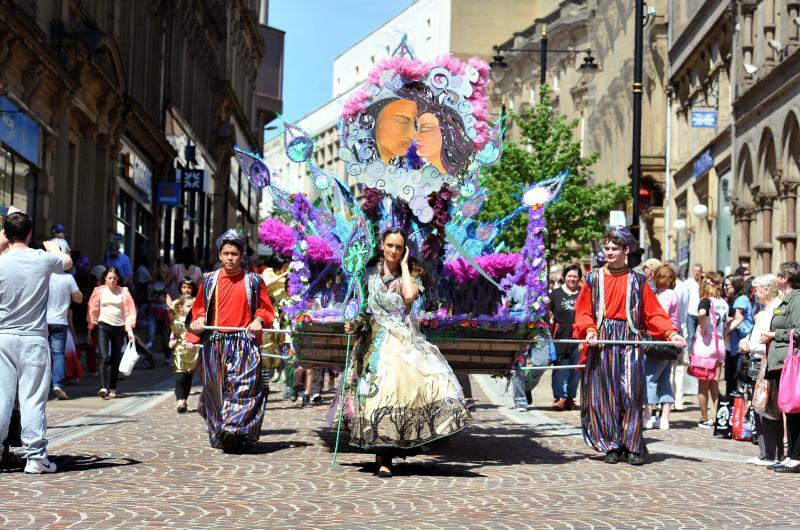 Which graced the streets of Bradford, led by a Bollywood take on Emily Brontë's "Wuthering Heights"! 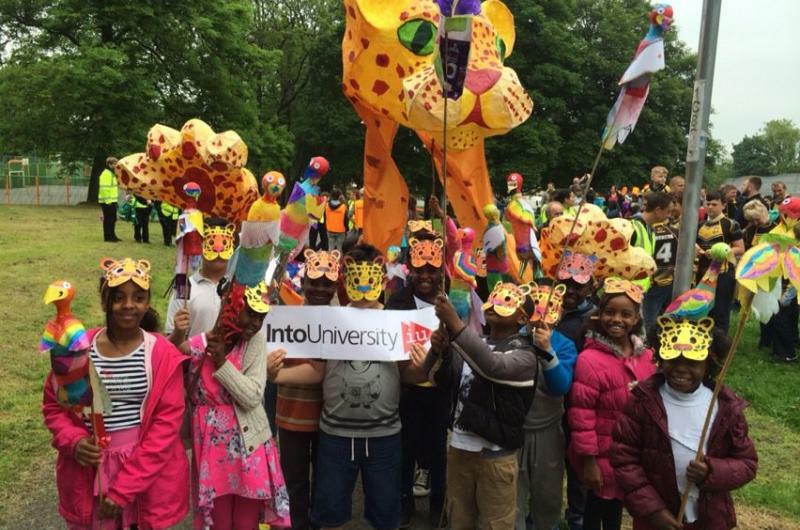 One of our greatest strengths is our experience of working with local schools and community groups, so they too can contribute to the carnival parades. 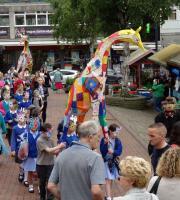 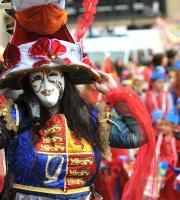 As well as masks, banners, wicker animal floats ... and the odd parrot on a stick! 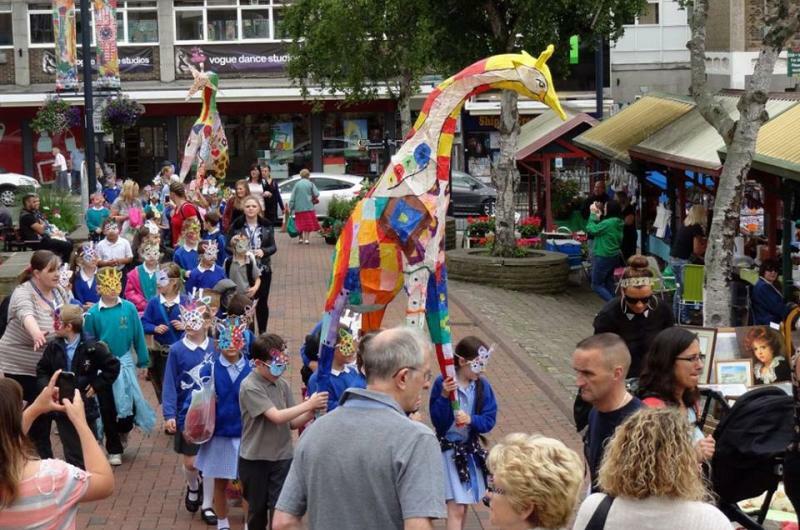 These designs were produced for Beeston Festival 2016. 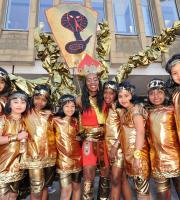 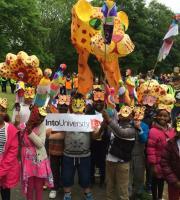 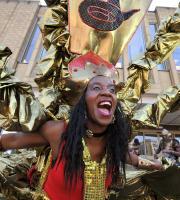 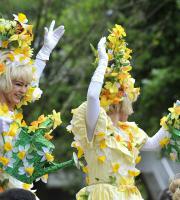 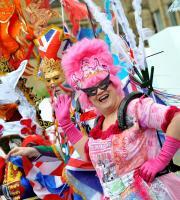 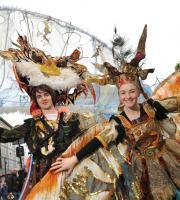 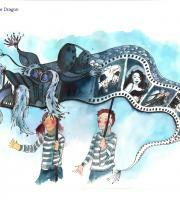 Our fantastic team can create new arts and crafts activities to suit the theme of your carnival. 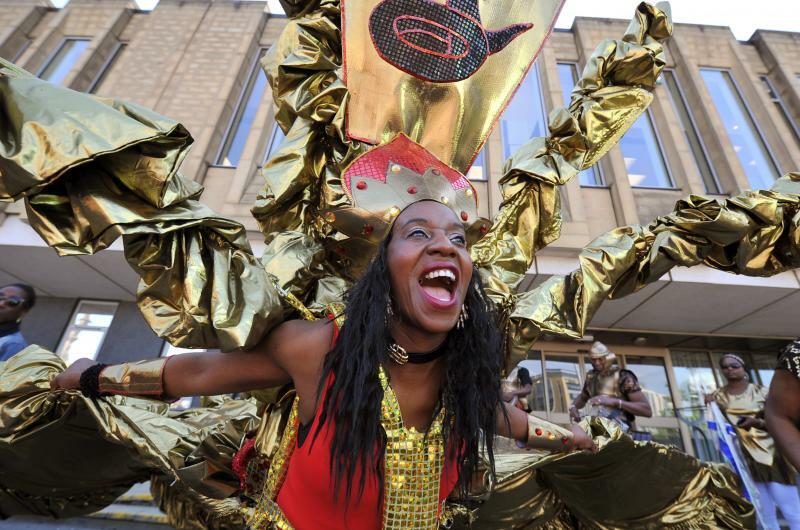 All of our carnival costumes are custom-made, with our brilliant team of performers bringing them to life. 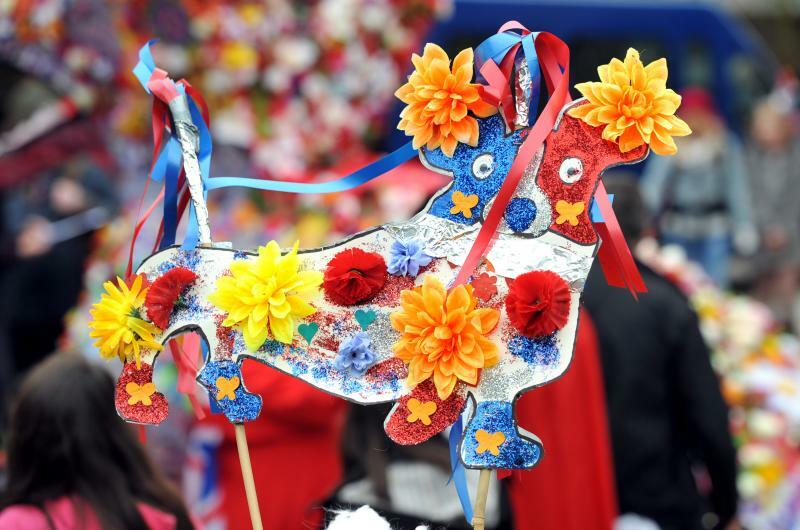 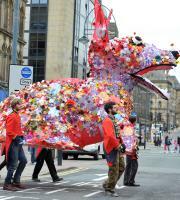 This gigantic corgi was created to celebrate the Queen's Jubilee in 2012! 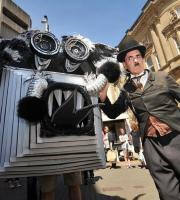 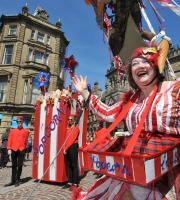 Our own walkabout and stilt characters at Q20 make great additions to parades! 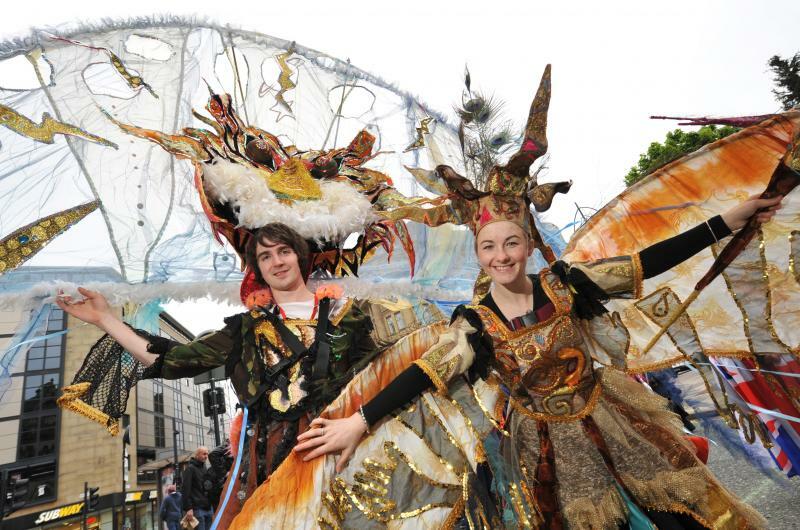 Our performers are natural leaders - whether that's leading the parade or acting as comperes. 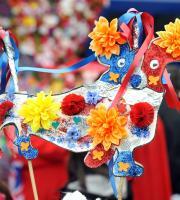 Always spectacular, always original and handmade. 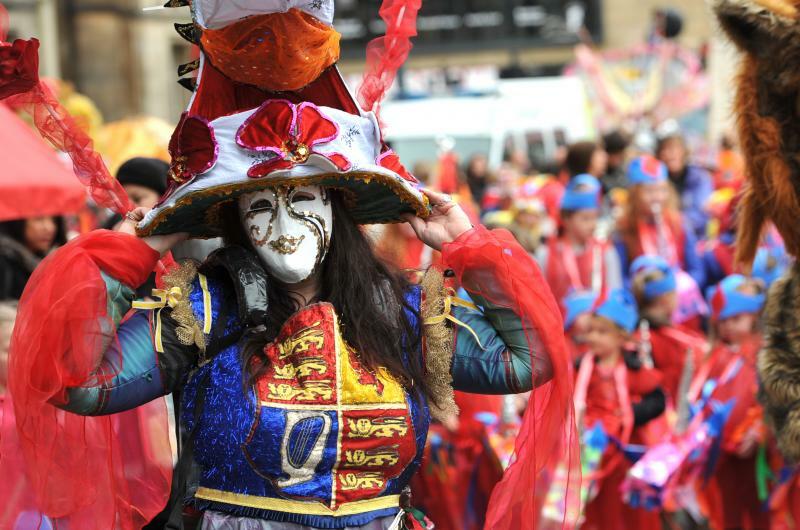 You'll never forget the day the carnival came to town!